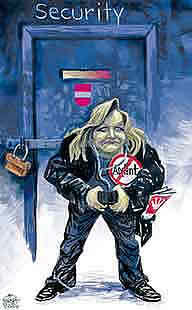 Stereotype of Polish people drwane by Oliver Schopf. 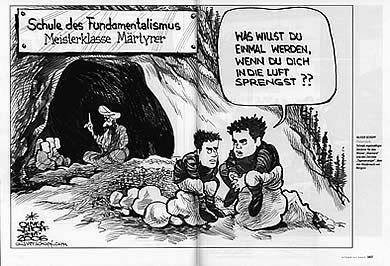 The cartoon was edited in jannuary 2012 in the German Newspaper Süddeutschen Zeitung. 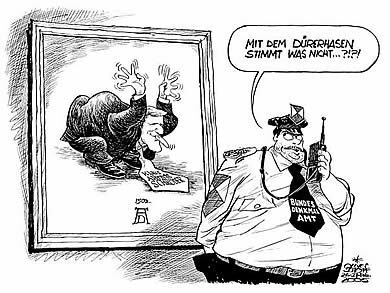 A EUROPE-supplement of the most renowned European daily newspapers like Sueddeutsche Zeitung, El Pais, Le Monde, Guardian, La Stampa, Gazeta Wyborcza published simultaneously a special cartoon of Oliver Schopf on Polish stereotype in the EU. 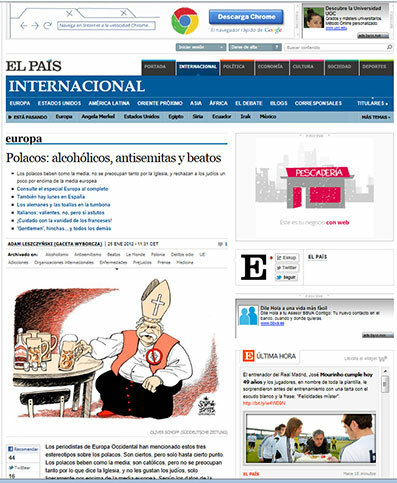 Church Drinking and Anti-semitism, the stereotype of Polish people pictured by Oliver Schopf in the online issue of daily newspaper El Pais. 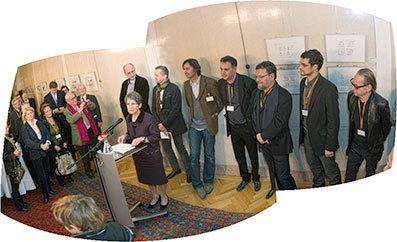 Austrian President of the Parliament Barbara Prammer and Oliver Schopf. 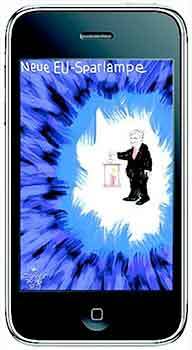 Three of five cartoons which will be seen at the exhibition in The Warhol Museum Pittsburgh Pennsylvania from 18th of september till 18th of october 2009. 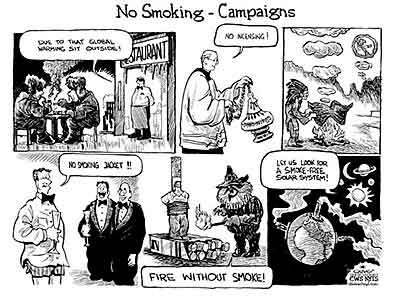 In February 2007 an editorial cartoon by Oliver Schopf was reprinted in the International Herald Tribune. 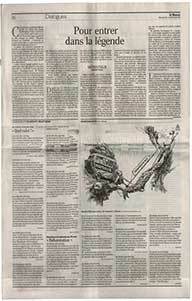 In december 2006 german magazine stern published a cartoon made for the anniversary of UNICEF by Oliver Schopf. 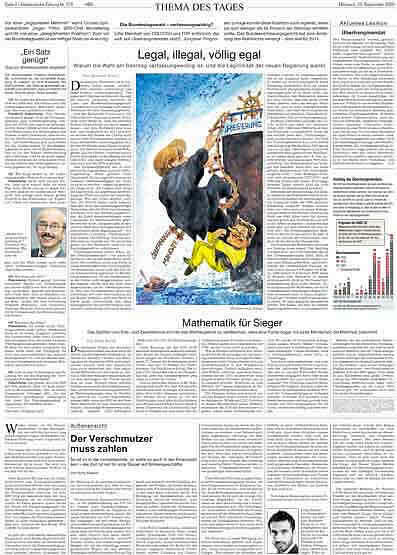 Due to the 60th anniversary of UNICEF the organisation and the German magazine stern invited international editorial cartoonists to create drawings on the misery of children worldwide in all their circumstances. 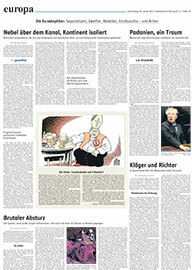 The best of them had been honoured with a reprint in the well known German magazine. 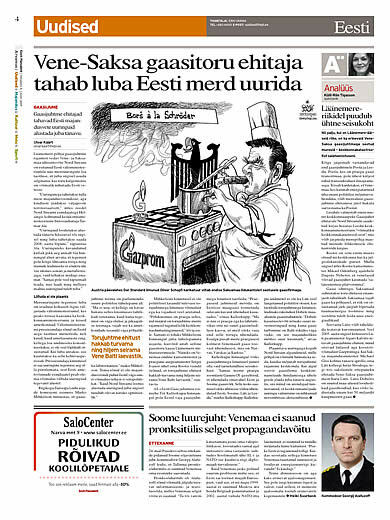 Editorial cartoons by Oliver Schopf in the french daily paper "Le Monde"
Prominent reprints of two editorial cartoons by Oliver Schopf in the french daily paper Le Monde on Hungary’s 50 years of uprising and the way to independence of Macedonia. 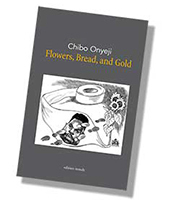 Cover illustration of the poetry edition “Flowers, Bread and Gold” by Chibo Oneyji, published in the “editon innsalz”, Austria 2006. 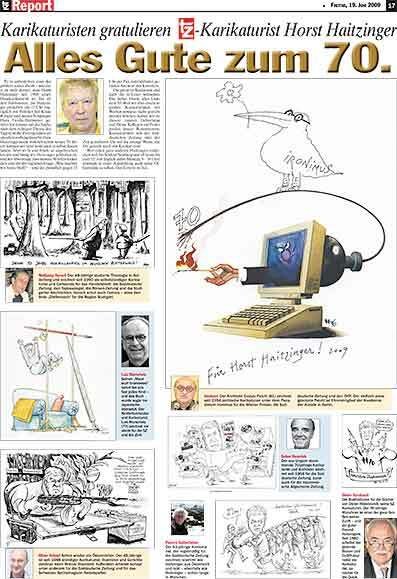 Due to the 5th anniversary of the Karikaturmuseum in Krems, Lower Austria, an exhibition of well-known Austrian editorial cartoonists was opened on September 30, 2006 under the title “Aktuell” , which means “Latest”. The show can be visited till March 11, 2007. 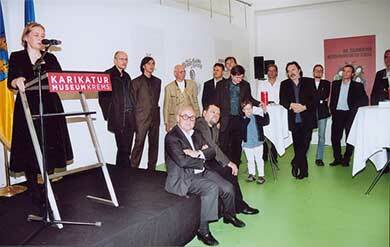 Sitting left to right: Gustav „Ironimus“ Peichl, Petar Pismestrovic Behind left to right: JP, director of the Karikaturmuseum Krems, Jutta Pichler, manager of art Karikaturmuseum Krems, Oliver Schopf, Michael Pammesberger (Kurier), Wolfgang Ammer (Wiener Zeitung), Bruno Haberzettel (Kronen Zeitung), Peter Kufner (Die Presse), Markus Szyszkowitz with child (Kronen Zeitung), Wolfgang Horsch (Der Standard, Handelsblatt, Süddeutsche Zeitung), Manfred Deix. From the left to the right: Oliver Schopf, Olga Felber Veenenbos, widow of Jean Veenenbos, Wolfgang Horsch. 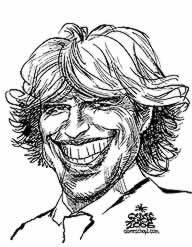 Jannuary 2006: Schopf portraits for Red Bulletin Austrian Skiing celiebrities: Hermann Maier; Benjamin Raich; Hans Hinterseer. 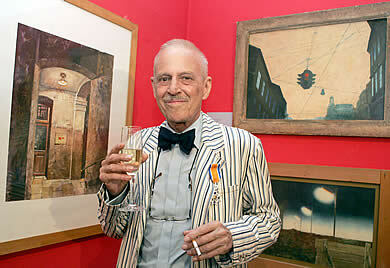 Jean Veenenboss 2004 at his exibition in Vienna Museums Quartier. 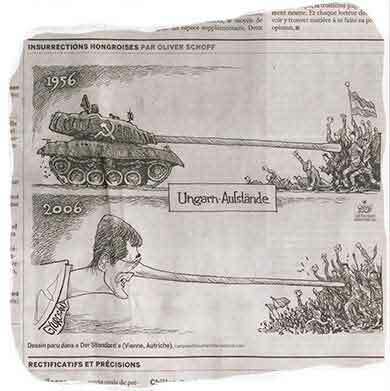 Copyright: Chrisitian Fischer; Der Standard. 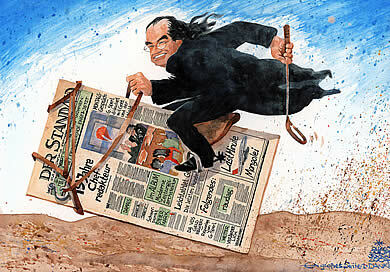 December 9th, 2005 my friend and national and international top cartoonist Jean Veenenbos passed away at the age of 73. 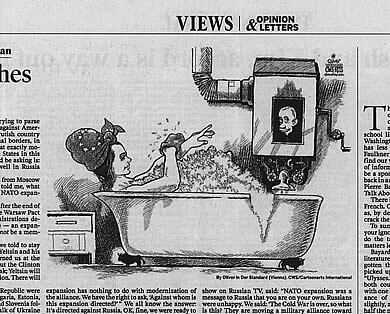 He was one of the excellent artists in editorial cartooning, well known for his black sharp line and his incredible sense of humor, unmasking world politics and its representatives. 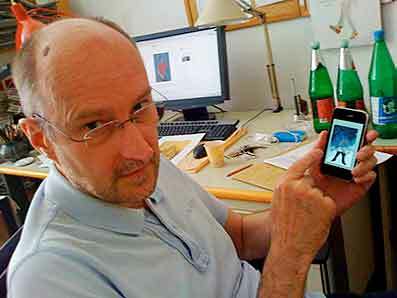 He regulary works for Der Standard, Austria, he also contributed his cartoons to Neue Züricher Zeitung and Nebelspalter both in Switzerland, Süddeutsche Zeitung in Germany, Courrier International in Paris and Cartoonists and Writers Syndicate, USA. 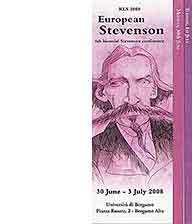 In 2003 he was awarded “Best European Cartoonist“ in Forte dei Marmi, Italy and in 2005 he was knighted by the Dutch Queen to the “Knight of the Order of Oranje-Nassau“. We all have lost a friend, a very talented artist, a very well educated and cultured Dutch native born on Java, 1932, who decided to live in Austria. We all miss You, Jean ... Your wife, Your children, the papers and me. 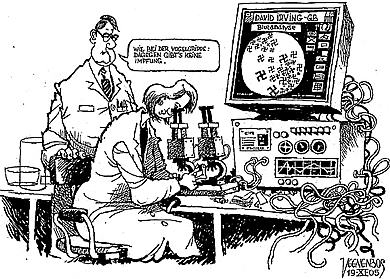 Last cartoon by Jean Veenenboss 2005. 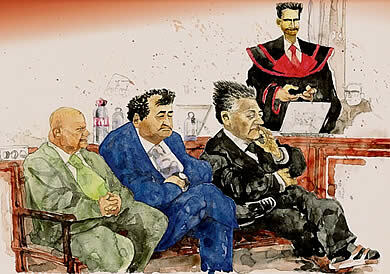 In December 2005: Schopf painted Johann Perktold and Martin Schaufler from Egana Austria. 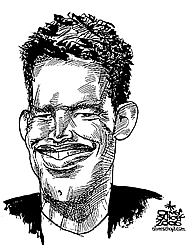 Schopf's illustration in the Harald Tribune in november 2005. Cover for the German chessmagazine KARL published in Frankfurt/Main: Former soviet world chess champion Michail Botvinnik (1911–1995). 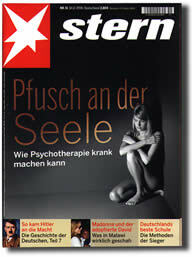 KARL is a cultural historic magazine on chess concerning with historical and background topics of the chessworld. 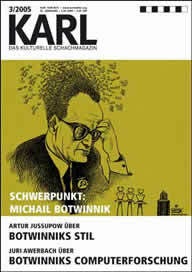 November/December issue covers with Botvinnik. 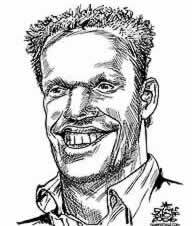 Michail Botwinnik; Oliver Schopf's Portrait for a cover of KARL, a German chessmagazine. 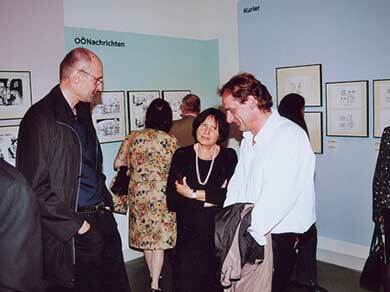 Two Lasker-drawings of Oliver Schopf (see also "archive“ and "chess“) has been shown in the opening of the Emanuel-Lasker Museum in Berlin-Kreuzberg. Emanuel Lasker a former world chess champion (1894-1921) was born in Berlichingen near Berlin. 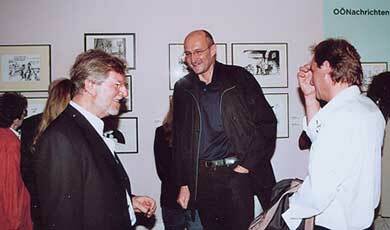 "Lasker meets Einstein" at the museums opening in Berlin 2005. 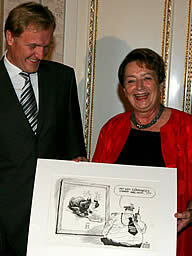 Klaus Albrecht Schröder, director of the Albertina Vienna, and Elisabeth Gehrer; Minister of Education. Formula-1: Portraits for "Red Bulletin"